Today we share official Lenovo Vibe K5 Stock Firmware. People who have brick or boot loop after installing custom ROMs, rooting, flashing kernels or anything customized your device, then this Lenovo Vibe K5 Firmware help you to recover your smartphone to normal. This firmware will revert back to your stock ROM. Also today we share latest Vo-LTE firmware update file. 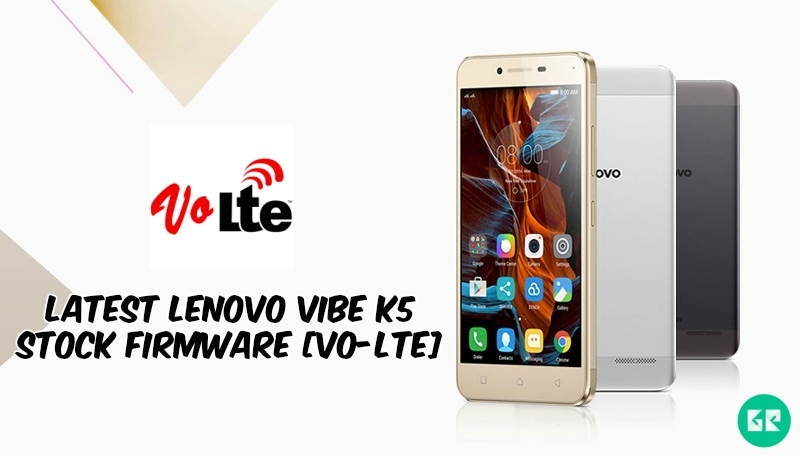 just follow the guide and flash the firmware to enable Vo-LTE on your Lenovo Vibe K5. Lenovo released Lenovo Vibe K5 smartphone with stable Android OS, v5.1 (Lollipop). The Lenovo Vibe K5 powered by 1.2GHz octa-core Qualcomm Snapdragon 415 processor and it comes with 2GB of RAM. Internal storage is 16 GB that can be expanded 32GB via a MicroSD. It has 5.0 inches IPS LCD capacitive touchscreen, 16M colors, with a resolution of 720 x 1280 pixels. Lenovo Vibe K5 lets you snap brilliant 13-megapixel back camera for taken a good quality picture and 5-megapixel front camera for a selfie. It has Removable Li-Ion 2750 mAh battery. Sensors in the phone include Compass Magnetometer, Proximity sensor, Accelerometer, Ambient light sensor and Gyroscope. Type:- “.Zip” File & Tool. If you want to buy this device please visit this link. Fast of all extract downloaded file zip file via WinRAR or 7zip. Then install Qualcomm USB drivers. Now open the QPST Tool. Then click browse bottom & browse and select the “.mbn” file from firmware folder. The Select build will automatically select the update or stock ROM. Then click load xml bottom, browse and select the “rawprogram_unsparse_without_qcn.xml” File and then choose Patch0.xml. “rawprogram_unsparse_without_qcn.xml” = data will not be lost. “rawprogram_unsparse.xml” = all data, IMEI and WiFi/Bluetooth Address will lost. Now Switch off your phone & connect your phone to the PC (select port and choose the port). After connect hit the download button. When the flashing is done “finish download” notice will appear. Disconnect your phone and make it on. Note: – First time it takes 5-10 Minutes to boot your device. If face Any Problem Please Comment Below.